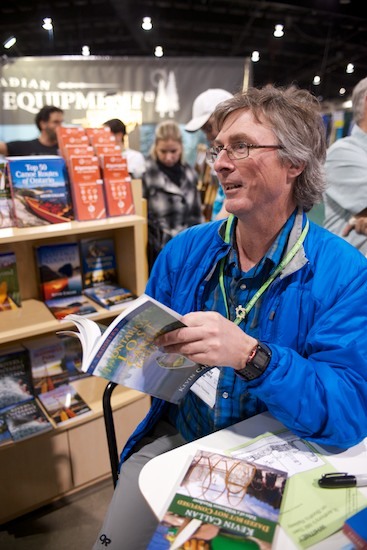 Autographing books (including his newest, Dazed but Not Confused, Tales of a Wilderness Wanderer - read our review here) at the Canadian Outdoor Equipment booth. Tales of a Wilderness Wanderer, Kevin will be speaking on Saturday at 1:30 p.m. and Sunday at 1 p.m. at the Ontario Outdoors Adventures Theatre. How to be a Better Camp Cook, head over to the Ontario Outdoor Adventures Theatre at 3:30 p.m on Saturday.